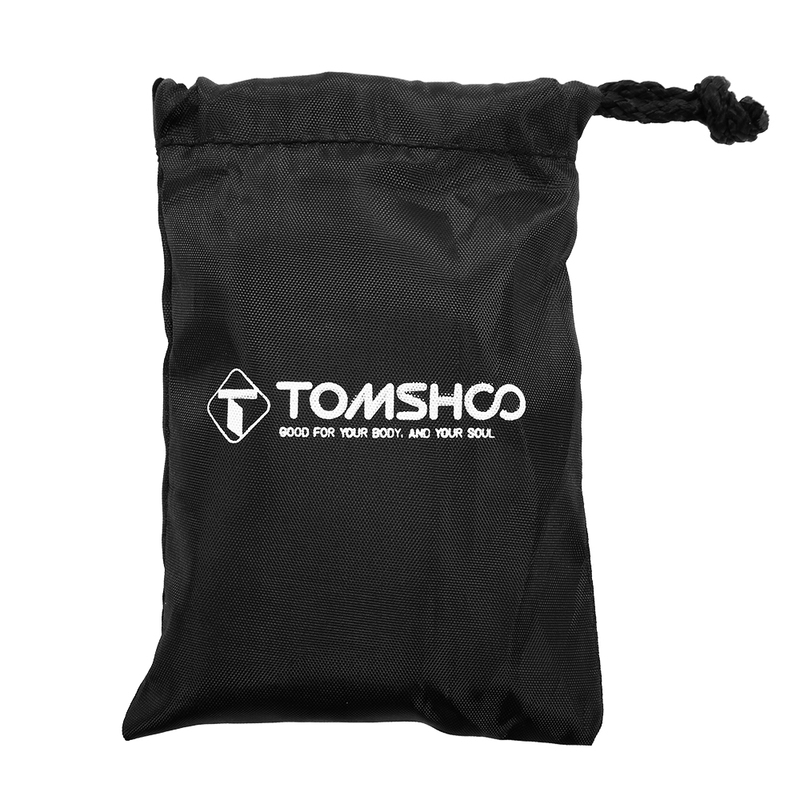 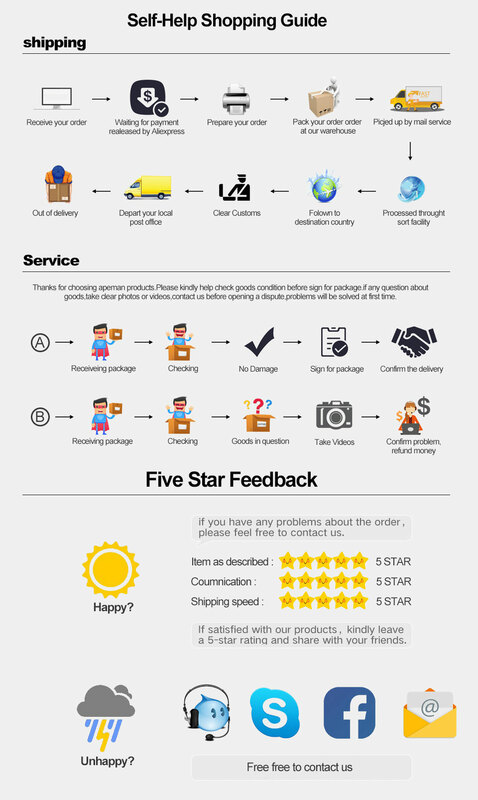 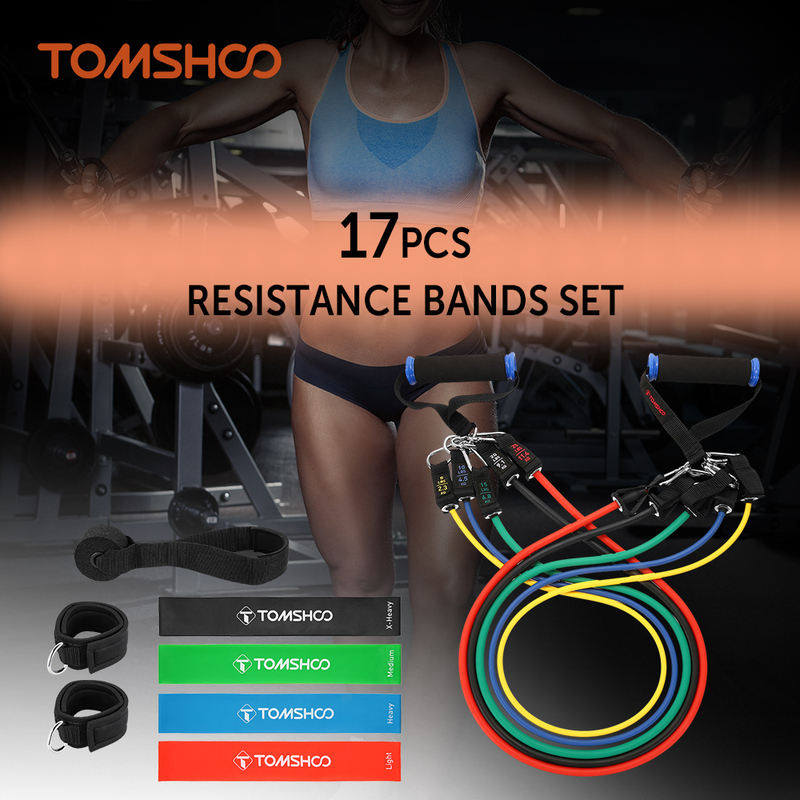 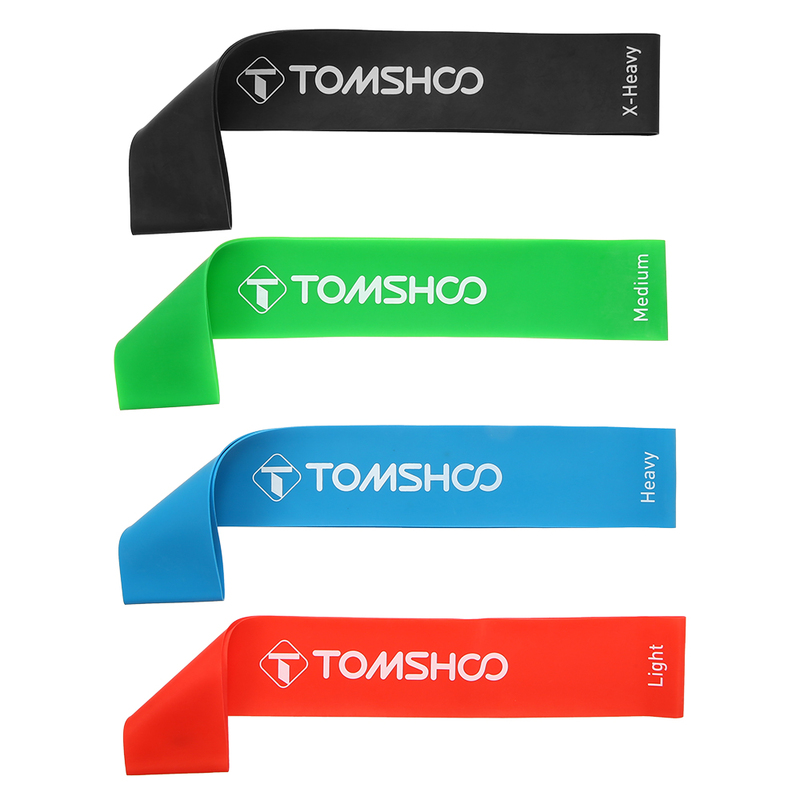 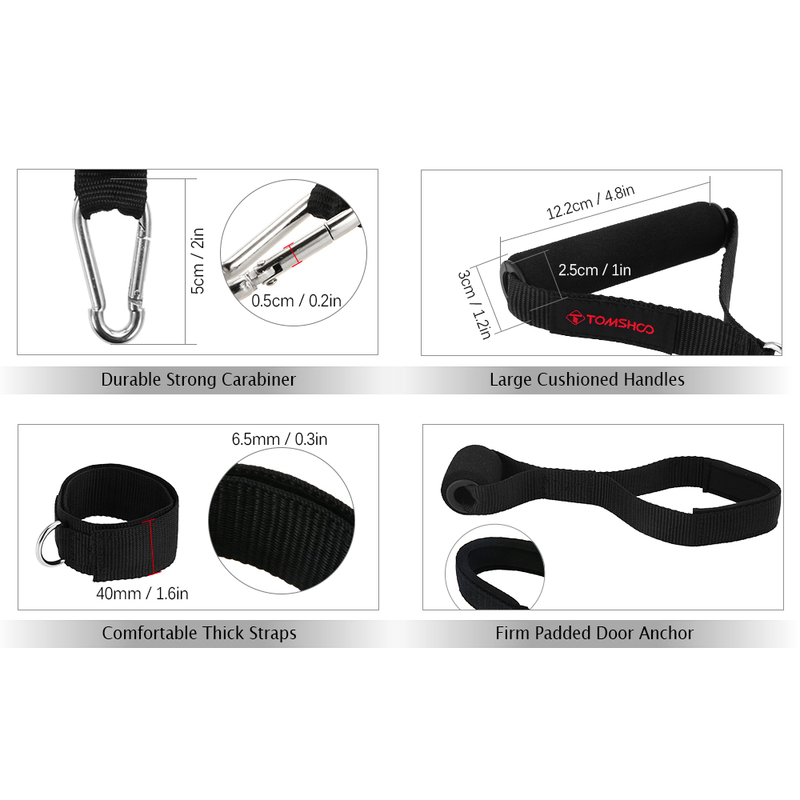 TOMSHOO 17Pcs Fitness Bands Set includes 5 Tube Bands, 4 Loop Bands, 2 Handles, 2 Anchor Straps, 2 Carry Bags and 1 User Manual, which help to vary your workout routines and challenge yourself to achieve higher levels. 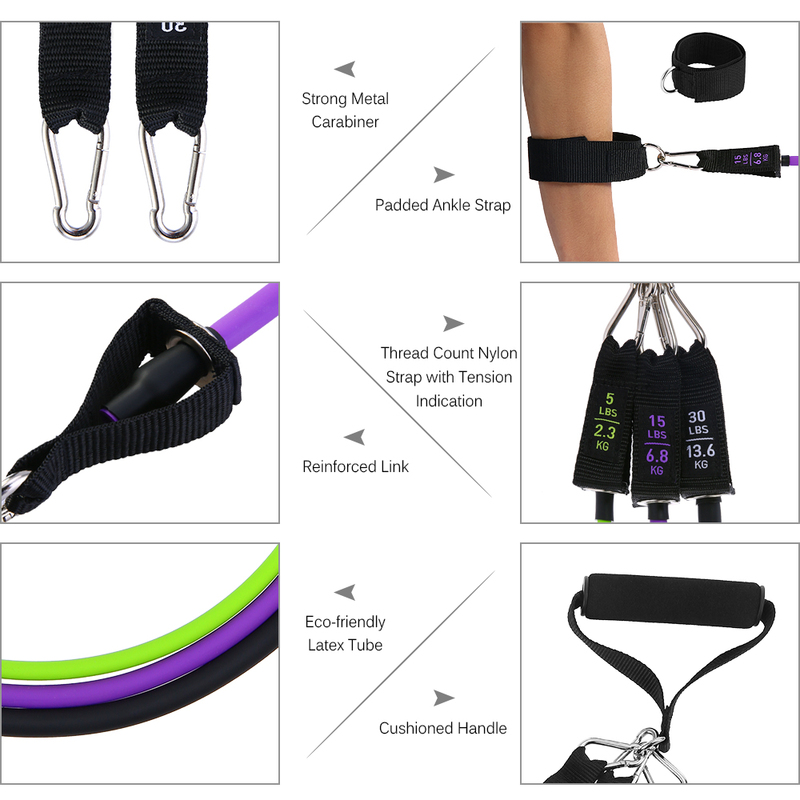 The resistance bands can be integrated seamlessly to improve your muscular endurance, strength, balance, flexibility, body awareness and co-ordination. 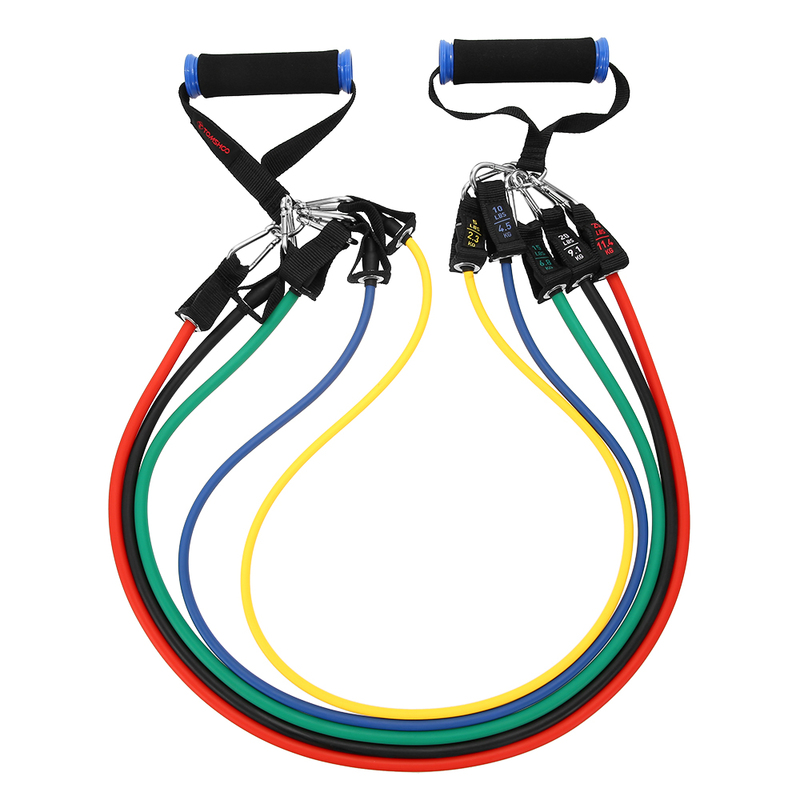 Apart from body building and fat burning, the fitness set is also useful for injury rehabilitation, perfect for beginners to experts. 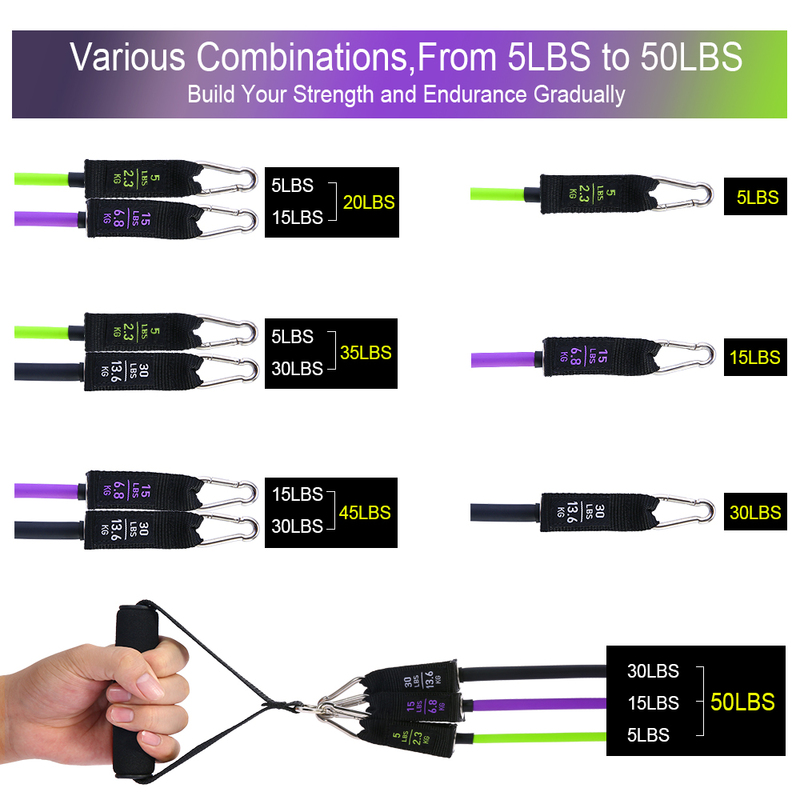 At compact package size and light weight, the workout set will surely be a convenience and guarantee a much more interesting trip. 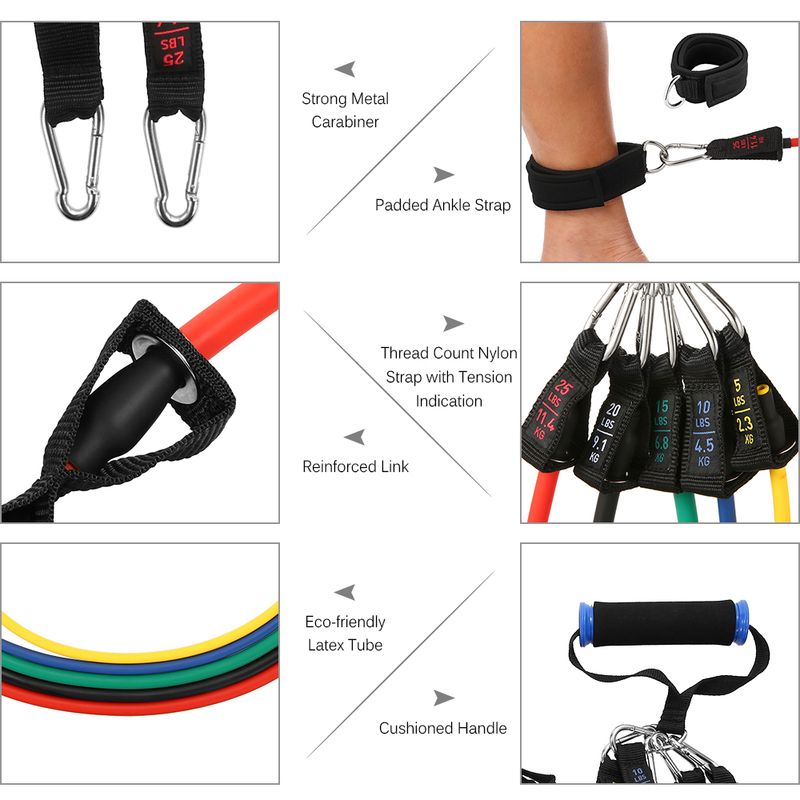 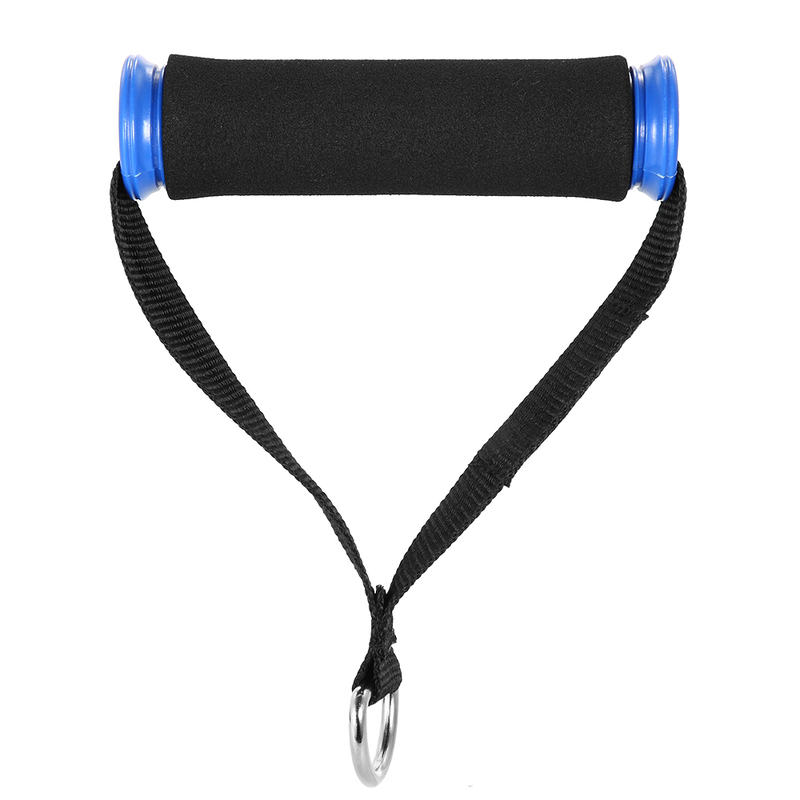 DIVERSE TRAINING OPTIONS: 17pcs Fitness Bands Set consists of 5 Tube Bands, 4 Loop Resistance Bands, 2 Cushioned Handles, 1 Door Anchor, 2 Ankle Straps, 2 Carry Bags, 1 User Manual. 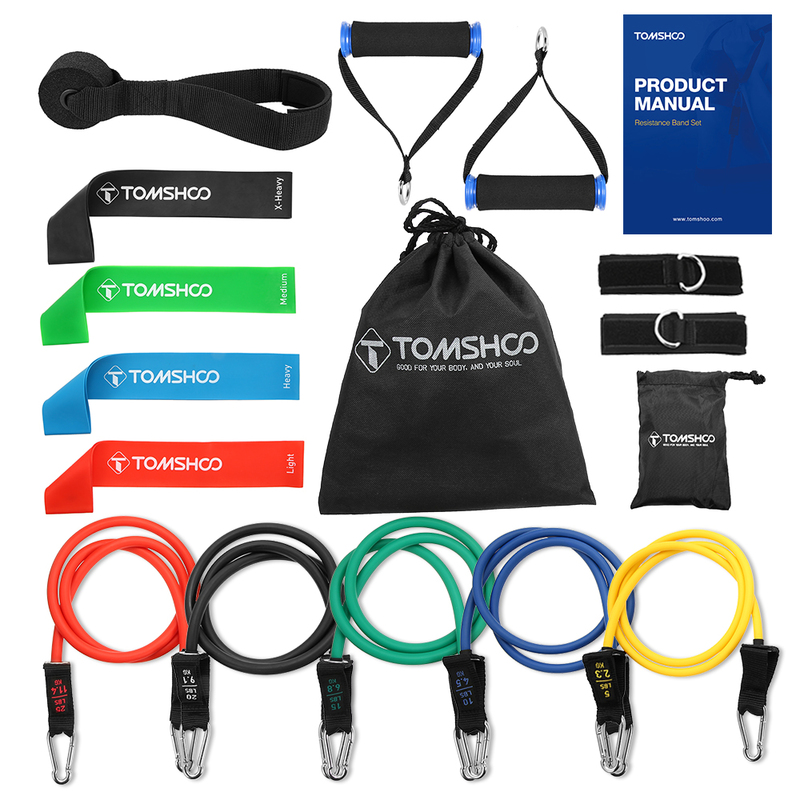 With this complete workout kit, you’ll never miss any chance to challenge various training difficulties for strength building and muscle toning. 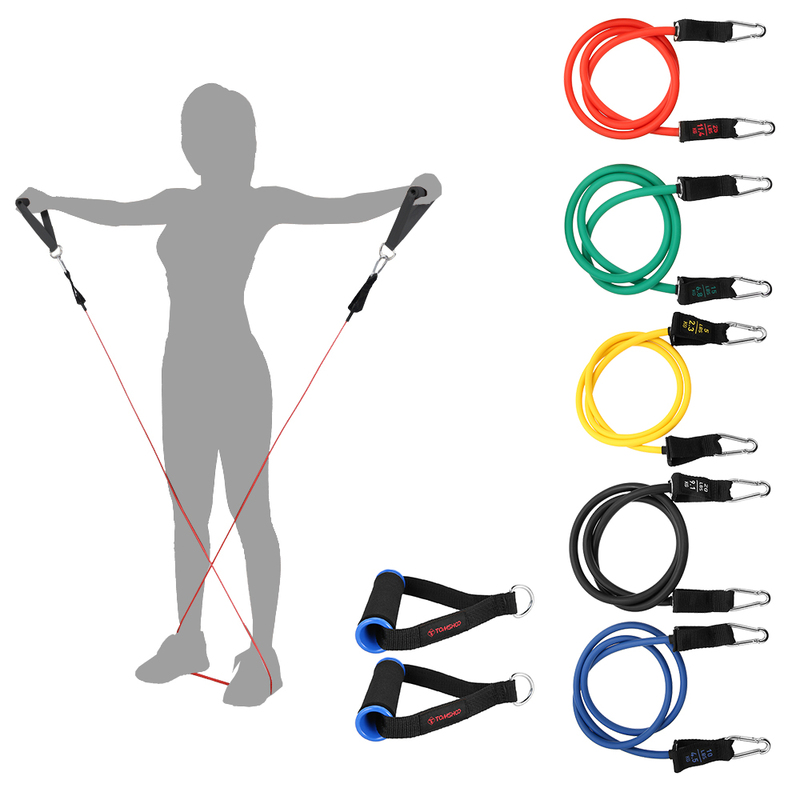 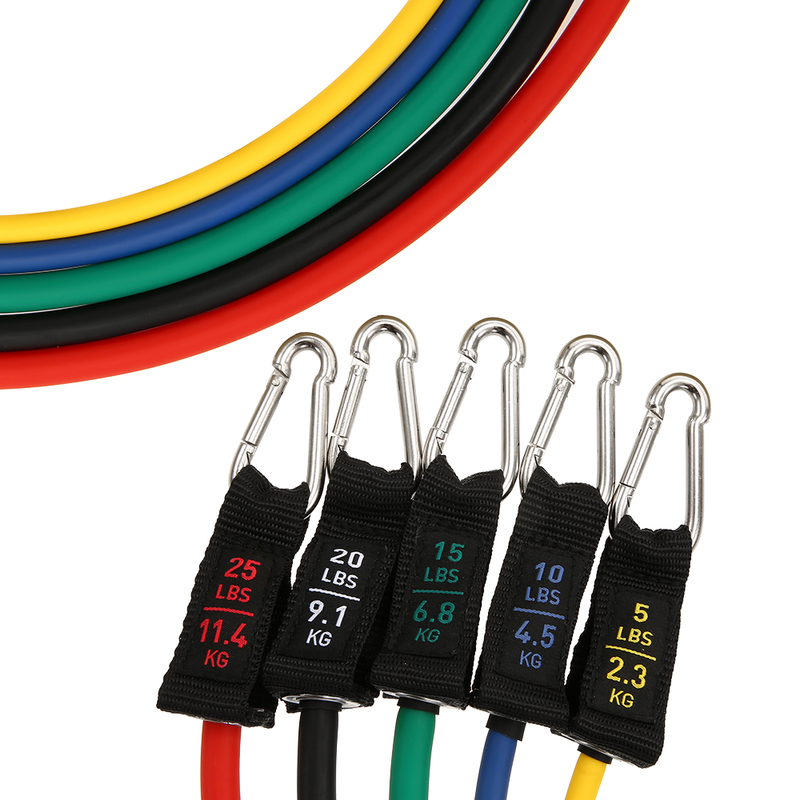 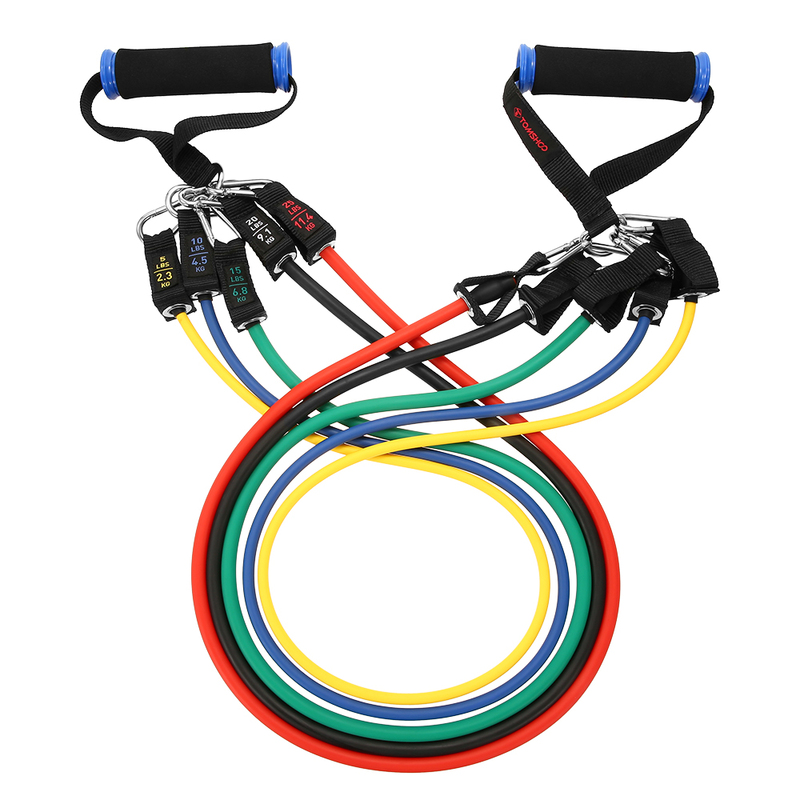 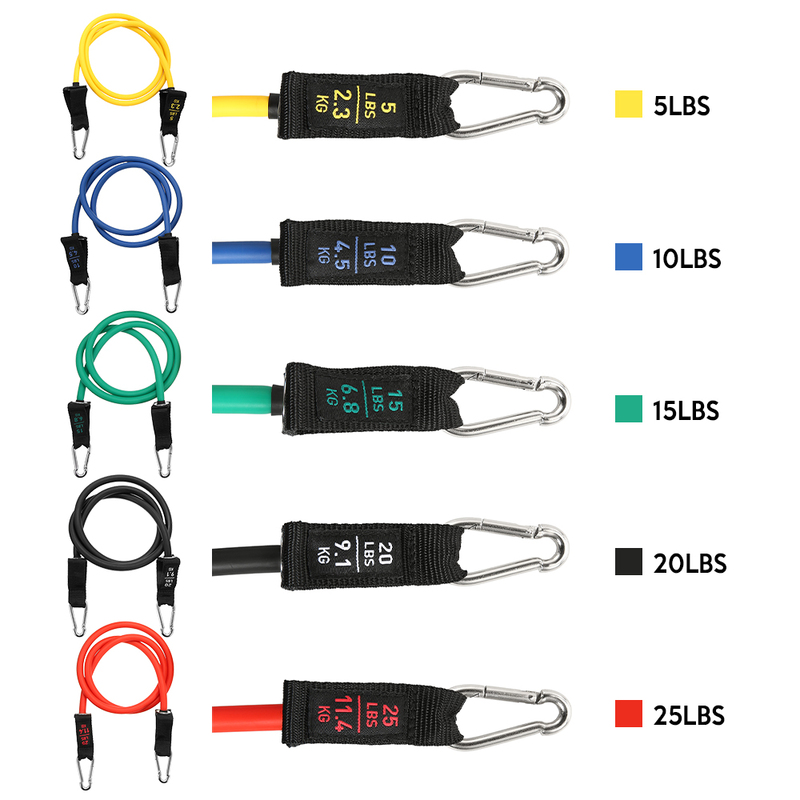 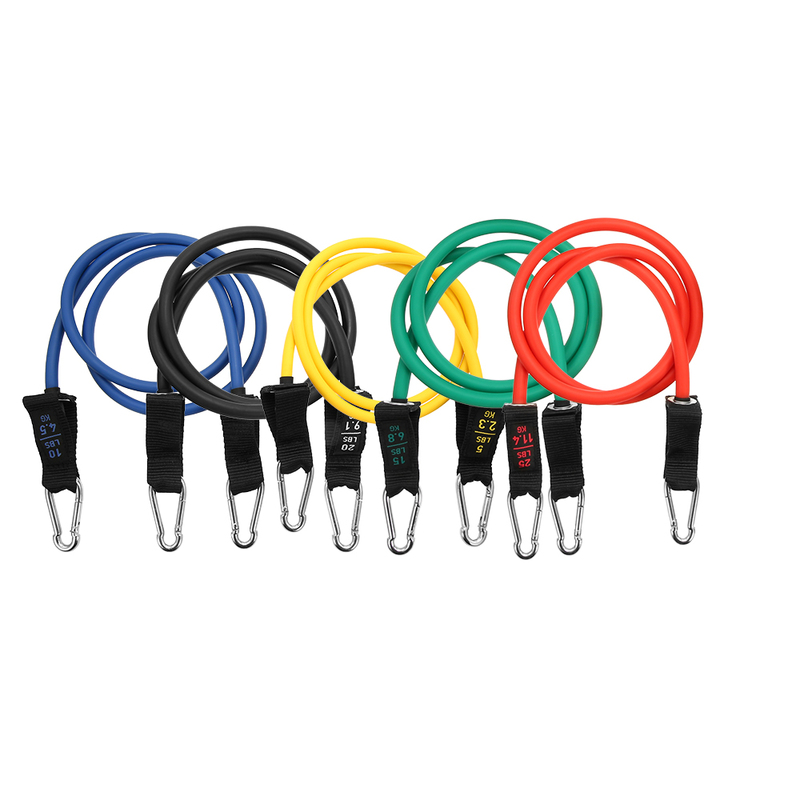 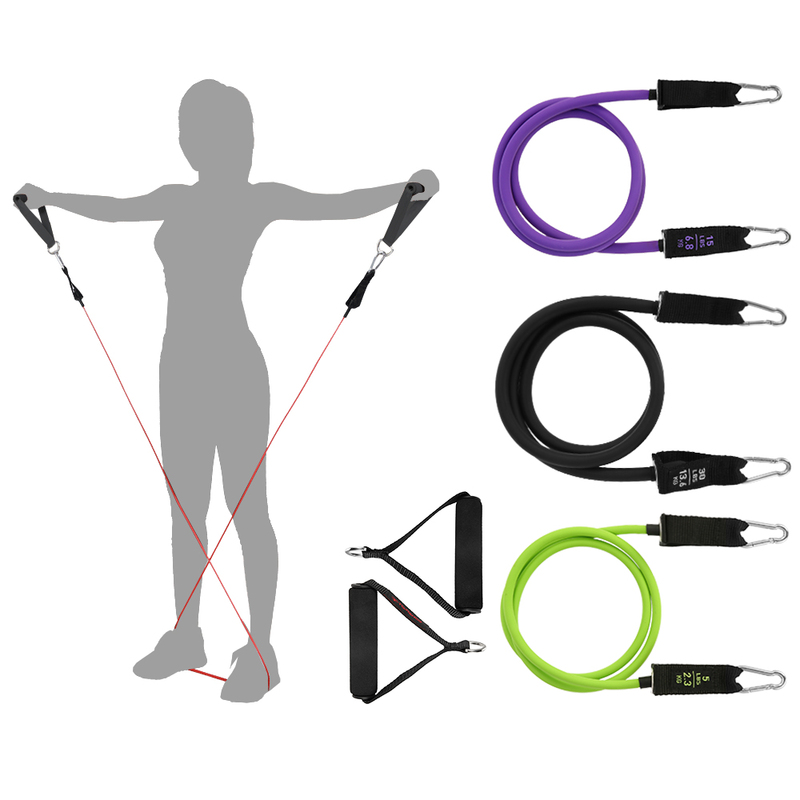 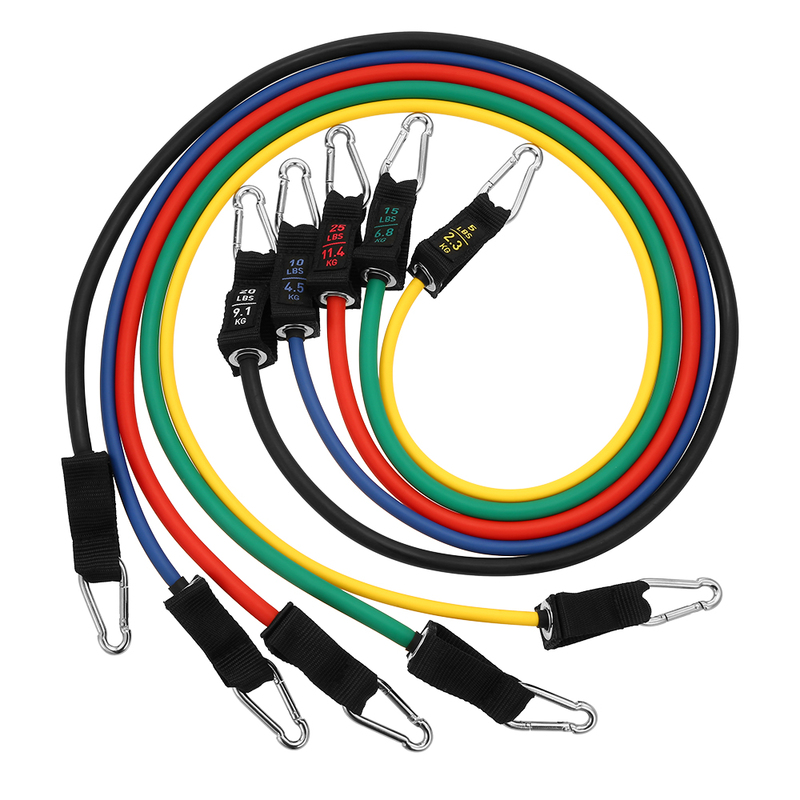 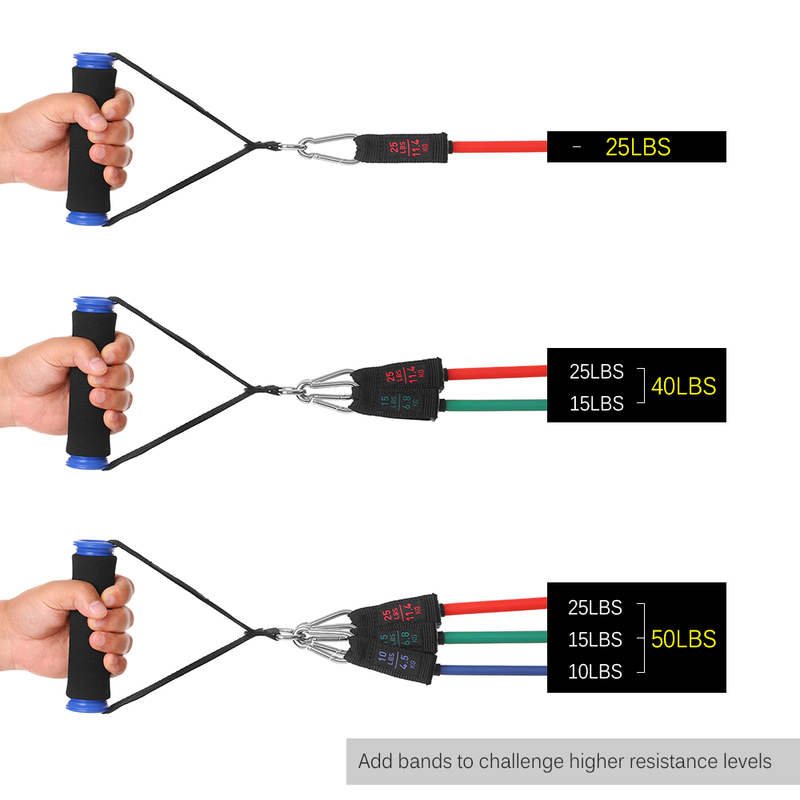 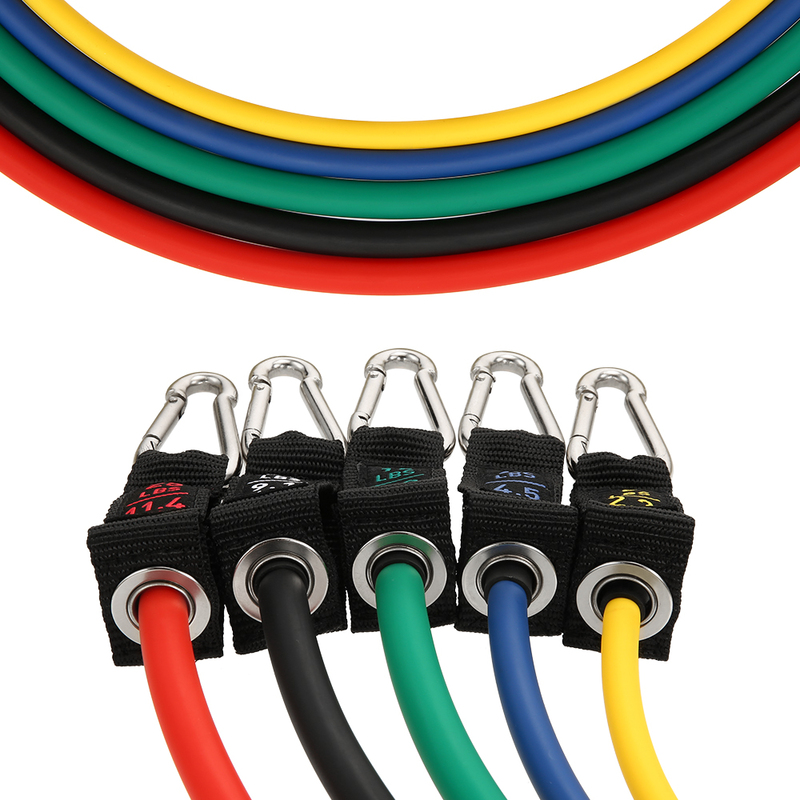 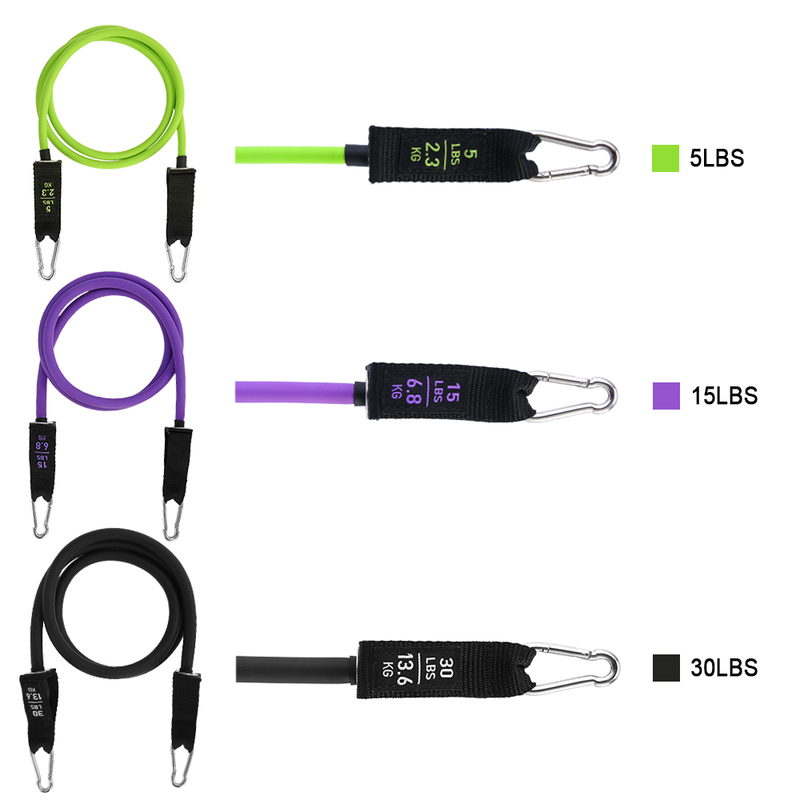 ADJUSTABLE RESISTANCE LEVELS: Each band is different in colors and resistance levels: Yellow - 5lbs, Blue - 10lbs, Green - 15lbs, Black - 20lbs, Red - 25lbs, with total resistance weight of 75lbs. 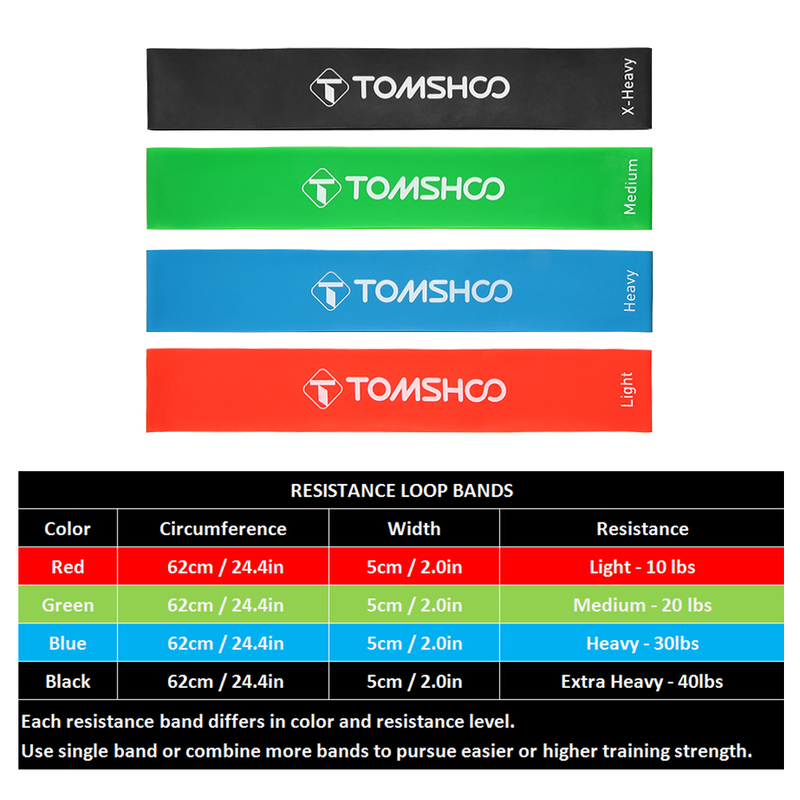 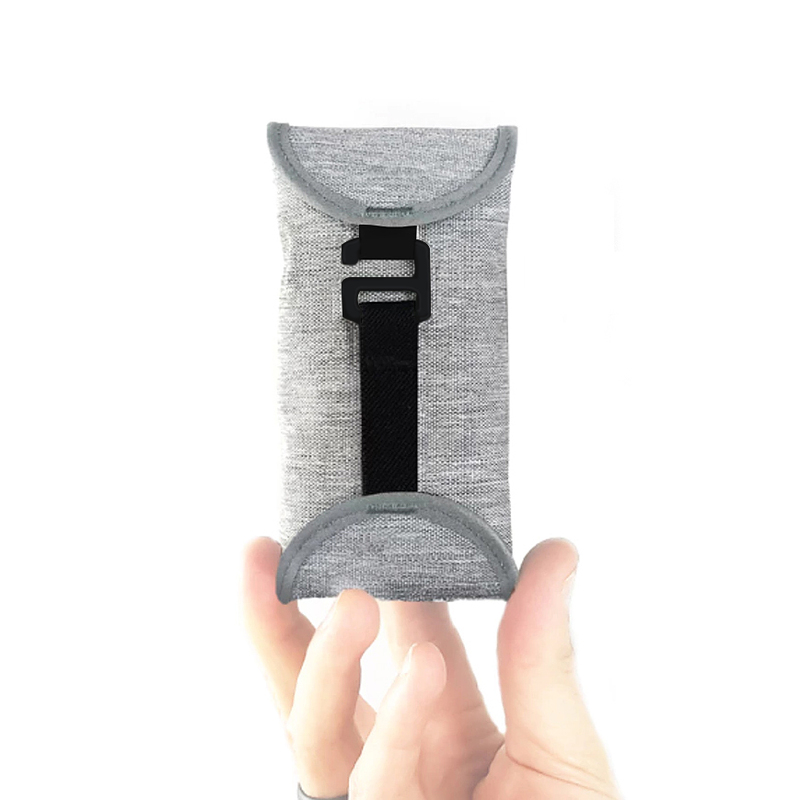 You can adjust the tension intensity to achieve personal goals by applying a single band or combining multiple bands, perfect for beginners or professionals, men, women, teen or children. 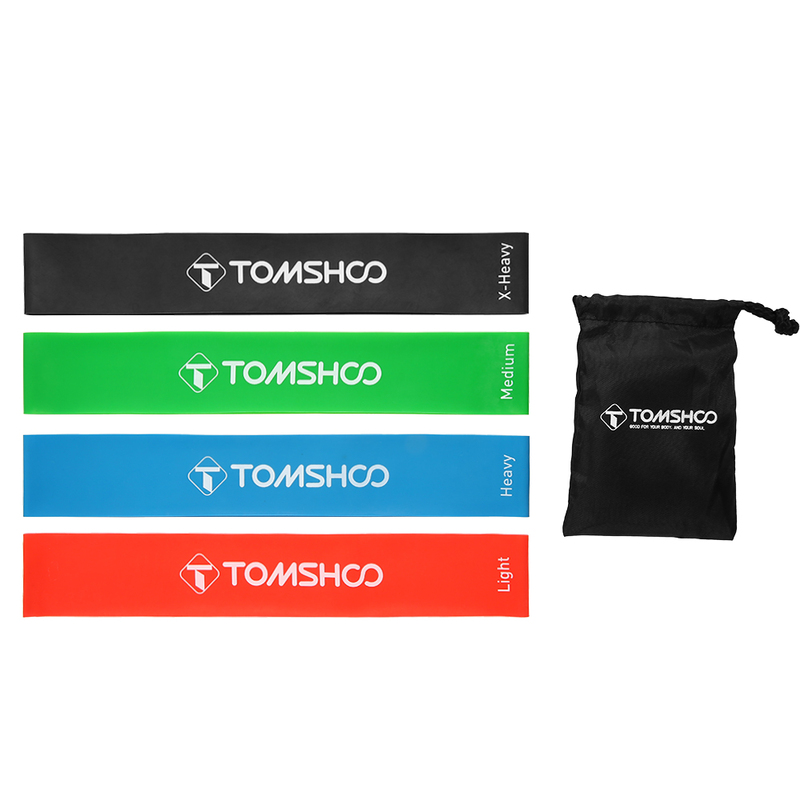 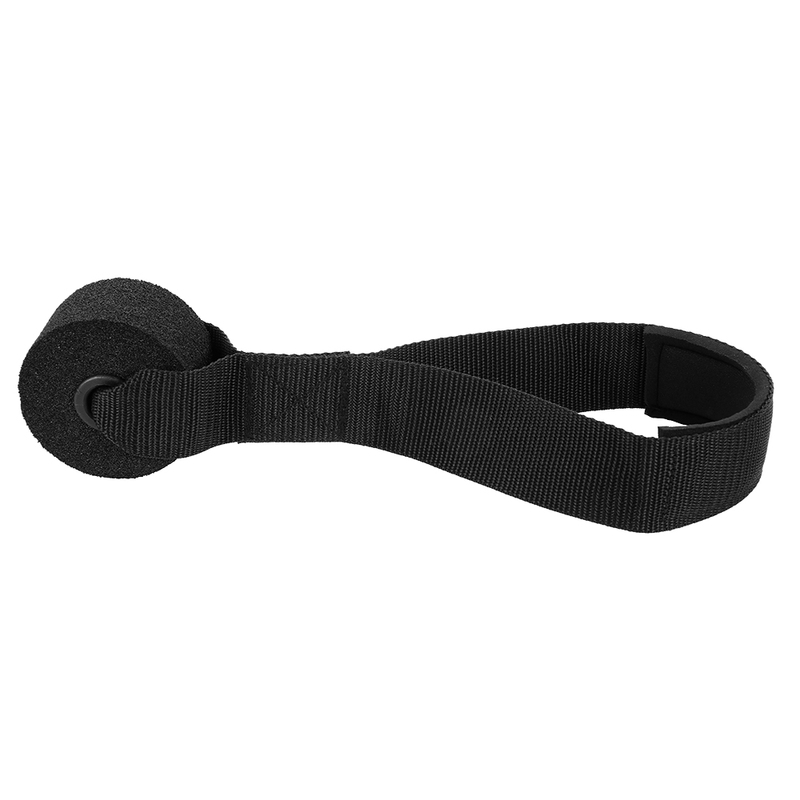 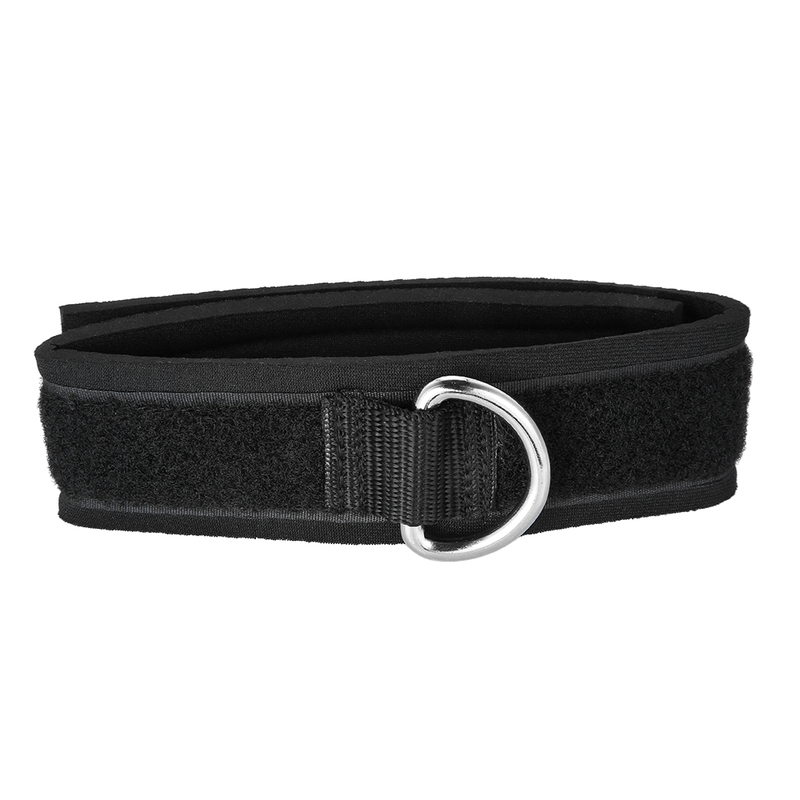 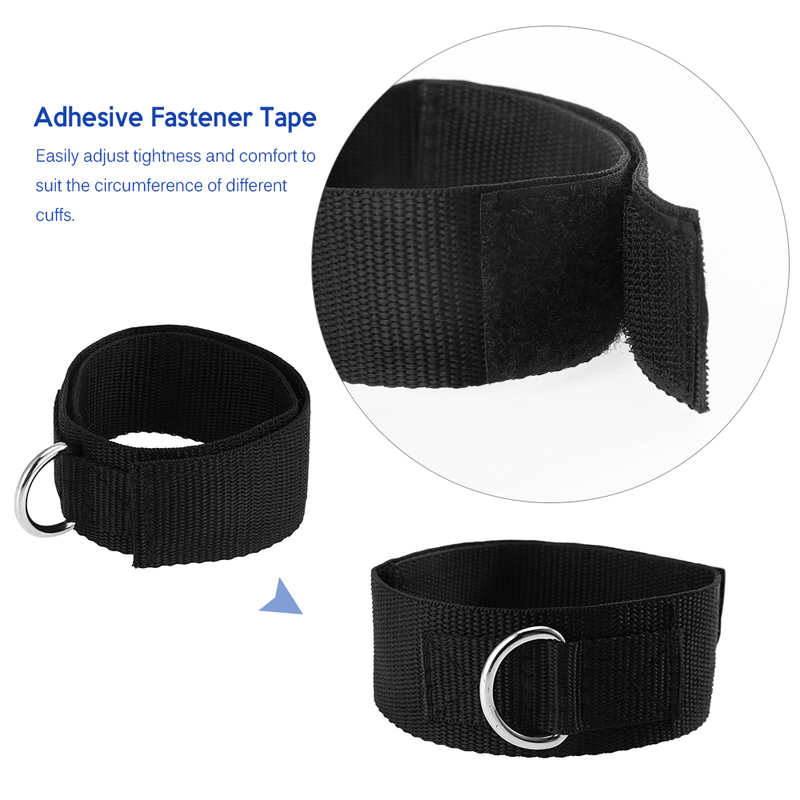 SUPERB WORKOUT EXPERIENCE: Made of highest quality natural latex and thread count nylon, the bands are snap-resistant and capable of maintaining the maximum resistance levels even after repeated stretch and use. 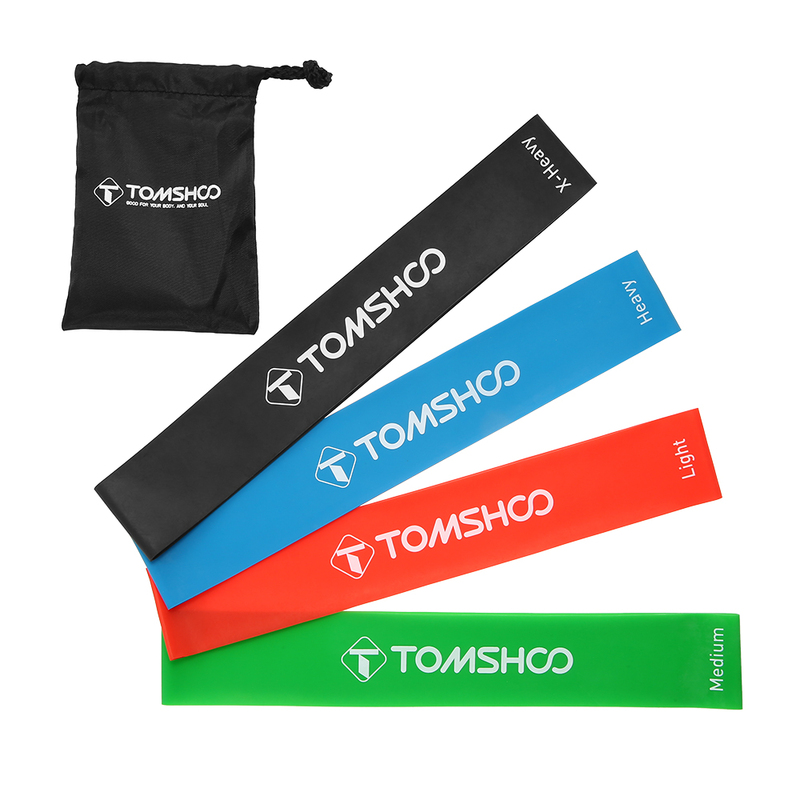 The cushioned handles and thick padded ankle straps provide optimal comfort and protection while doing exercise. 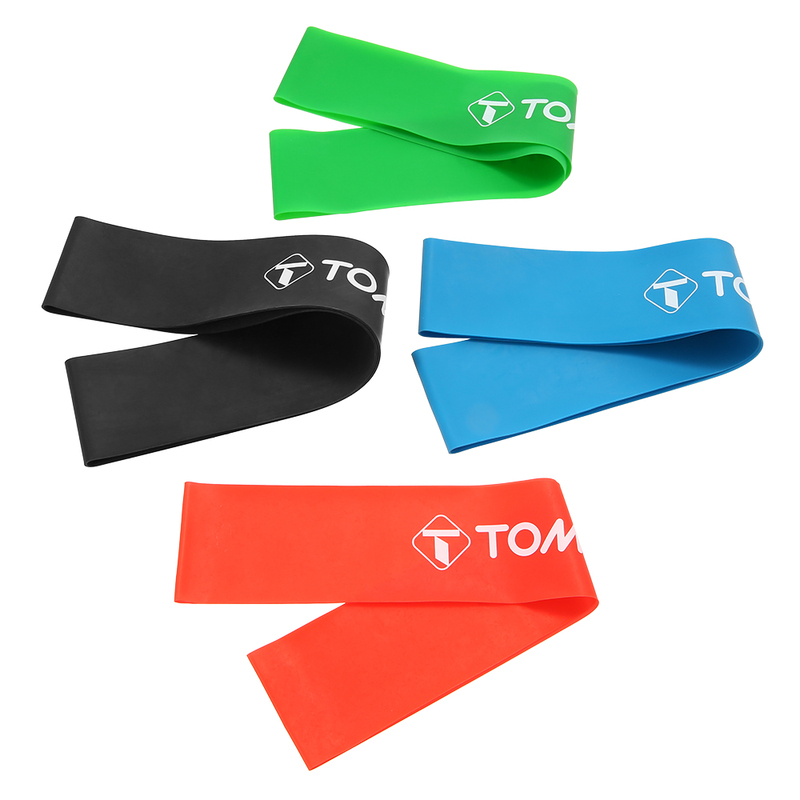 EXERCISE AND REHABILITATION: Not only for daily fitness workout and burning fat, these bands are also widely used to rehabilitate people suffering from leg, knee and back injuries, helpful for recovery from MCL, ACL, knee replacement, patella and meniscus rehab, perfect choice for women who are looking to keep their bodies in shape after pregnancy and birth. 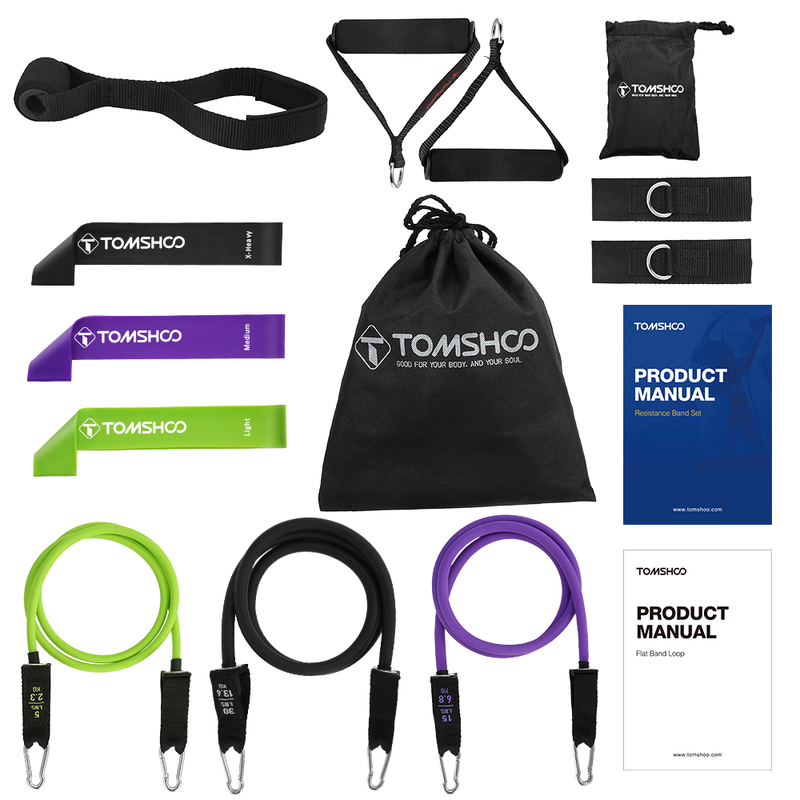 LIGHTWEIGHT & PORTABLE: Packed in the carry bag, the whole kit weighs only 2.4lbs and easily fit into your backpack or briefcase, so you can do workout at home, gym, office or traveling.